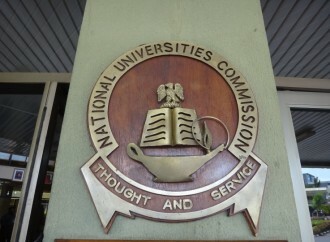 The National Universities Commission has mandated all universities in Nigeria to subscribe to the broadband connectivity platform, offered by the Nigerian Research and Education Network(NgREN). Executive Secretary of the Commission, Julius Okojie, who announced the directive, said it became imperative owing to high wage bill incurred on internet broadband by universities. While emphasizing the need to block financial leakages, owing to dwindling prices of oil at the international market, Okojie said on average Nigerian universities spend N60million for 155mbps of bandwidth when NgREN offers same service at less than N26million. “We have recommended that henceforth,every university in Nigeria must participate in the NgREN scheme. resisted to fully key into the consotium based approach like NgREN which helps to reduce cost significantly. “For instance,Nigerian universities spend an average of N60million for 155mbps of bandwidth when the NgREN offers the same service at less than N26million,”he stated. At the flag-off of a 4-day capacity enhancement and sustainability workshop for Nigerian African Centres of Excellence(ACEs) in Abuja, on Monday,Secretary General,Committee of Vice Chancellors of Nigerian Universities,Micheal Faborode said Nigeria cannot afford to fail in the ACE project,if it hopes to sustain its modest gains in tertiary education. According to Faborode,the African Centres of Excellence(ACEs) project won by 10 Nigerian universities underscores the need for education stakeholders to key into sciences and research in solving our economic challenges. He said one of the university’s centre for the Genome of Infectious Diseases(ACEGID) was instrumental in the diagnosis of the first case of Ebola virus disease in Nigeria. While noting that ACEGID scientists successfully sequenced the Ebola virus from Sierra Leone and have indeed developed a rapid response diagnostics tool that could detect Ebola virus in 15minutes.